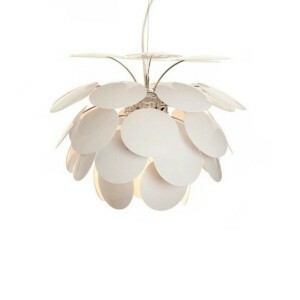 Suspension lamp con35 lacquered injected abs blank disks. Chrome sphere. 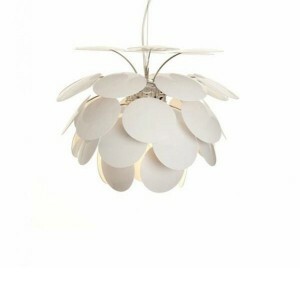 Lamp design Marset. Discocó is the proposal of decorative lamp par excellence. Attractive and exuberant. Effects generator, provides a light subtle, creating an elegant and mysterious atmosphere. Available in two sizes: the largest has a diameter of 88cm and 53cm small. The lamp consists of 35 opaque disks with a glossy white lacquer coating, by which the light is generated in direct and reflection.